Over the years, Ron's clientele has included companies within the construction, manufacturing, financial, and service industries. Earlier in his career, Ron honed his tax consulting skills with the national accounting firm of Ernst & Young of New Haven and Hartford. Ron served on the State Taxation Committee of the Connecticut Society of CPAs, and as issue editor of the society's CPA Quarterly publication. Ron is a member of the American Institute of Certified Public Accountants and the Connecticut Society of Certified Public Accountants. Active in various charitable and civic organizations, Ron serves as treasurer of Fellowship House in New Haven. In addition, he is an ongoing author and speaker on a variety of financial and tax planning issues. 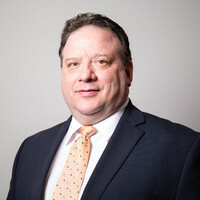 Ron received his Bachelor of Science Degree in Accounting from Bryant College in 1980, and his Master’s Degree in Taxation from the University of New Haven in 1983.